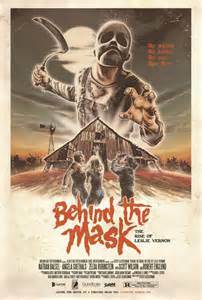 Behind the Mask is probably one of the best horror films that I have seen in a while! Leslie Vernon gives a documentary film crew exclusive access to his life. Leslie Vernon gets the film crew to help him set up his big night. The third act is what really turns everything on its head. The group of friends that are partying at Leslie Vernon’s childhood home are warned by the documentary film crew. Turns out, the documentary film crew has a change of heart, and they try to get everyone out of the house before it is too late. Leslie Vernon has other plans. He sabotaged all of the vehicles so that no one could leave. It turns out that the innocent girl he picked was not so innocent after all. This movie is an in-depth look at how a horror movie is designed. From the character details to how a slasher kills his victims. This movie is funny and scary at the same time. It is a unique twist on the slasher genre, and in my opinion, it is an instant classic. There should be a sequel or a series. To top it all off, Robert England is the psychiatrist or what Leslie Vernon refers to as, Ahab. An Ahab is an archetype like Sam Loomis in the Halloween franchise.